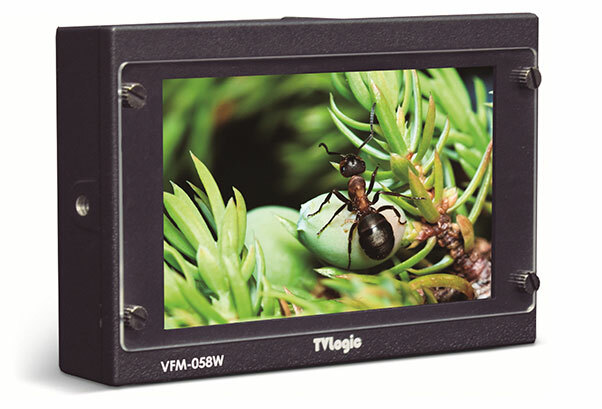 The VFM-058W, the lightweight viewfinder monitor, offers an outstanding picture quality with 5.5” LCD, and Full HD resolution of 1920 x 1080. Innovative and ergonomic design of VFM-058W makes you comfortable in the shooting environment and its light solid magnesium case achieves the highest efficiency of ventilation. The VFM-058W supports multi-formats including 3G/HD/SD-SDI and HDMI that offers a wide application range from DSLR cameras to Pro camcorder for broadcasting and movie shooting. The VFM-058W has various features such as Max Brightness function, Temperature Adaptive Color, HDMI-to-SDI conversion output, 1:1 pixel mode, Luma(Y’) Zone Check function, DSLR Scale, Waveform, Vectorscope, Range Error, Focus Assist, Markers, Audio Level Meter with speaker and time code display.